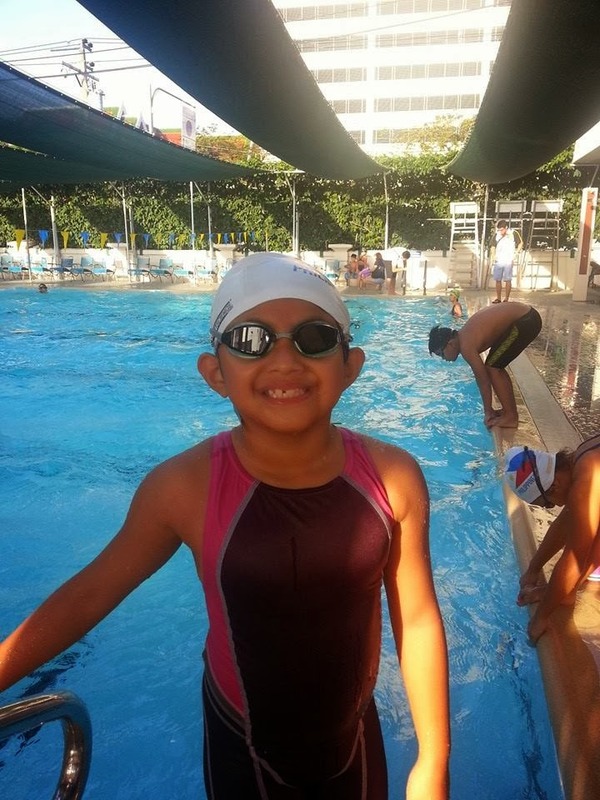 For this year I have been so immersed in the swimming competitions of my eldest daughter, Jasmine that I have been neglecting my own races. Well of course, I am mom first before anything else. But since I have finished another full marathon, several trail runs and my first triathlon race this year. I am happily retiring 2013 with much delight in my heart. 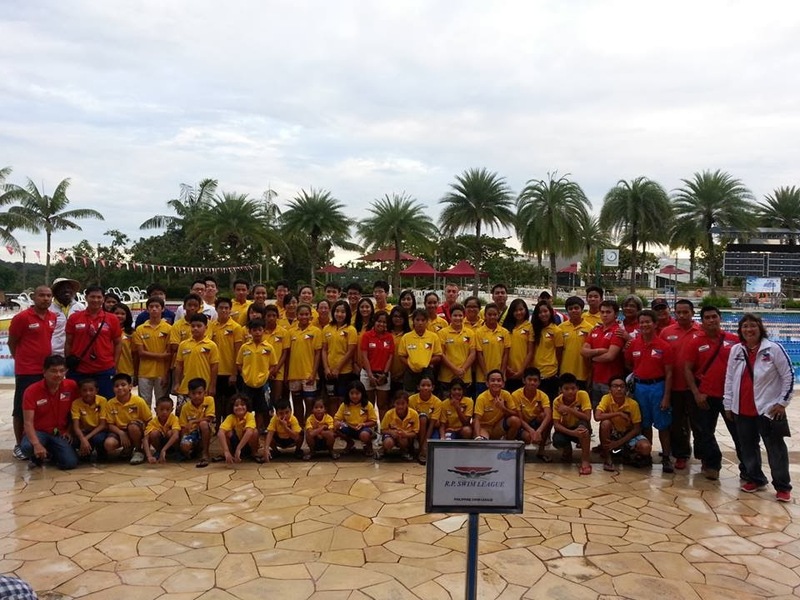 The highlight of this year for me is the Philippine Swimming League. I have been actively supporting this organization where my child is a swimmer. 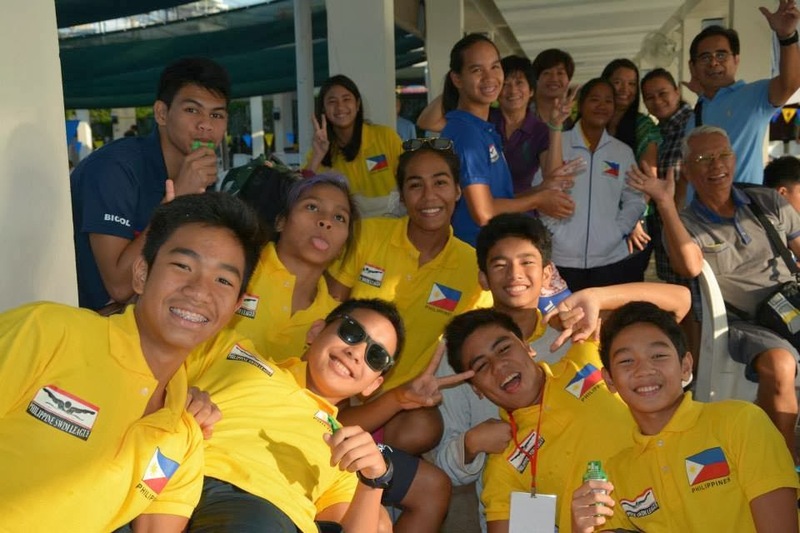 PSL as it is commonly called is a private National swimming organization founded by former Olympian swimmerCoach Susan Papa. 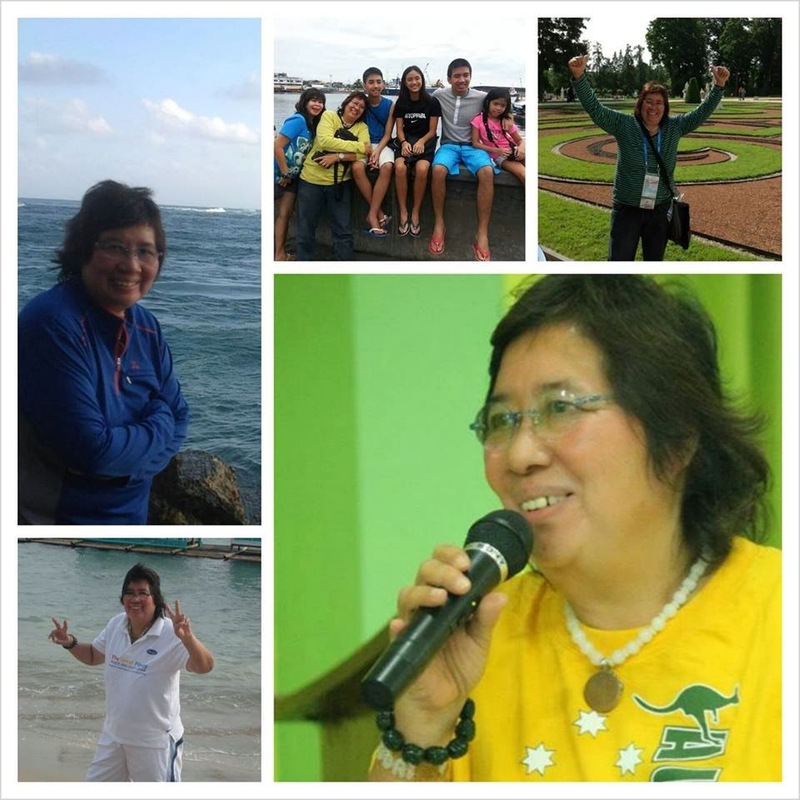 She formed this almost 3 years ago for the sole reason that she wanted to save the Pinoy swimmers from drowning in the rotten system that has been killing their dreams for the past three decades. 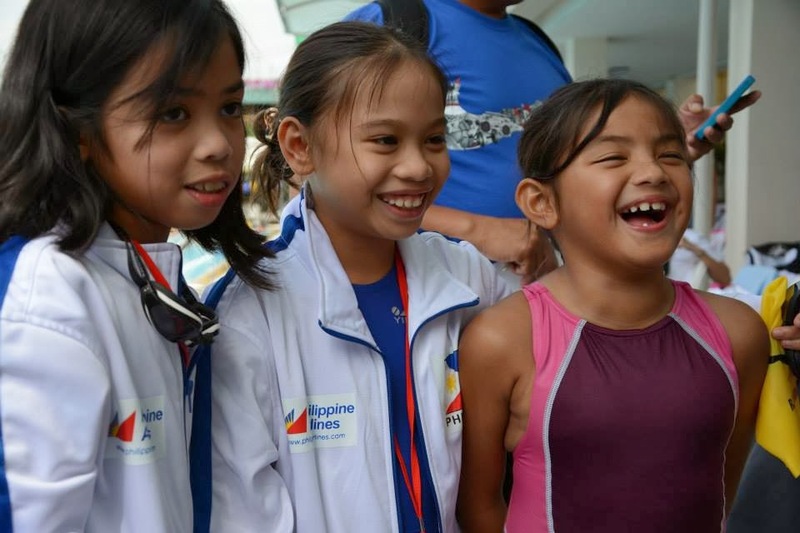 PSL created a grassroot developmental program for the swimmers wherein it organizes monthly competitions and made it a qualifying event for the International swim meets. It sends strong swimmers to other countries free of airfare and accommodations without government funding. And provides slots for motivational swimmers a shot of international exposure. And my daughter Jasmine Mojdeh is a great example of it. Last year, PSL gave her a slot for the team that went to Bangkok. She was merely swimming for four months then. and yet she was given a chance to compete Internationally for the Philippines against, imagine 7 countries! It was so surreal. As an athlete in high school, this is the order of competitions that I knew of, First is Interschool competitions, then district meet, then Regional meet, then Palarong Pambansa and then International competitions. But my daughter just took the detour and woah! International meet just within her reach. So knowing this, we grab the opportunity for her. Whoever provides this kind of exposure for a neophyte athlete anyway? In a society where only the strong reigns and the weak is bypassed , a compassionate person with a name of Susan Papa opened the eyes of these kids and gave them something to dream about. 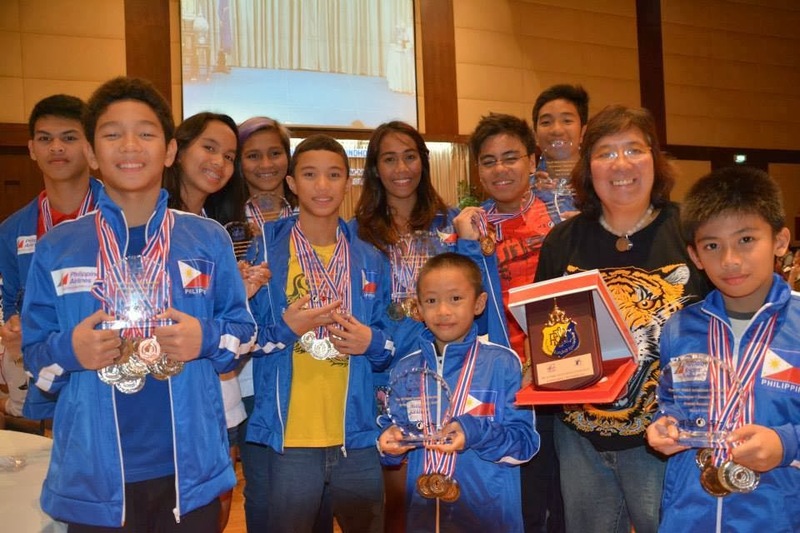 True enough, my daughter after that Bangkok competition last December returned to the Philippines without a medal but full of dreams. 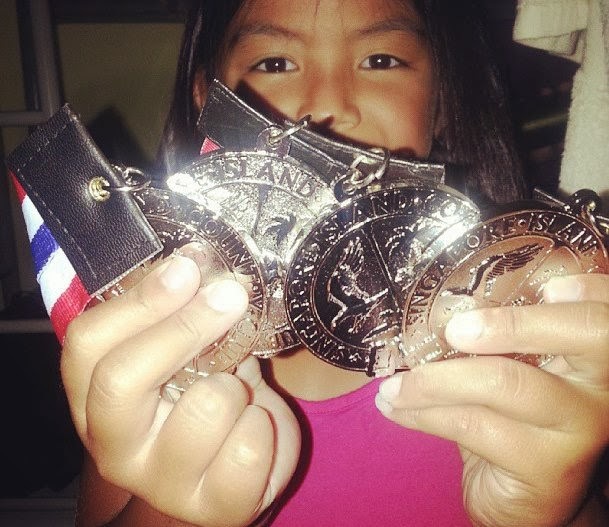 For the start of the year 2013, she just shocked us and started winning gold medals and even most outstanding swimmer trophies. Then she returned to Bangkok this year hoping for a better performance from last year. Surprisingly, she was a contender for the 3rd Most outstanding swimmer award based on her accumulated points on the first day of the meet. However, she lost that chance the moment she got sick the night before the last day of competition. 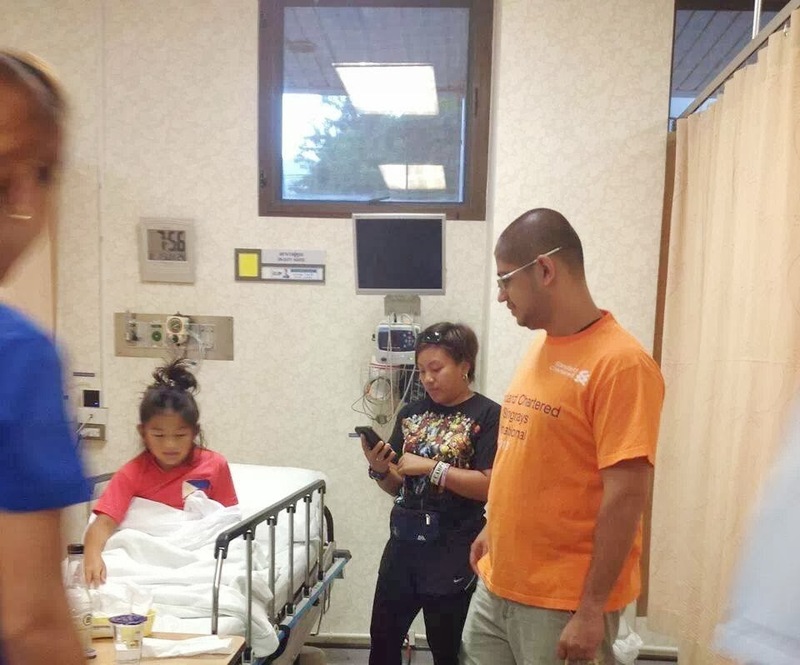 She was sent to the hospital for food poisoning and she could barely walk that morning as she was dehydrated for too much vomiting and had a high fever. But as she lay there in the bed after taking her meds, my husband and I shared the story of Michael Jordan and how he played and scored 48 pts. despite him having the same sickness as she was experiencing then. We shared this story to her just to ease the pain that she felt. We told her that we named her after Michael Jordan. Her full name is MicaelaJasmine. I told her that all the great athletes are named "Michael" Like Phelps the swimmer, Jordan, the basketball player Johnson the Olympian track star and even the Pop icon Michael Jackson. I told her she has an iconic name made for greatness. She listened eagerly. Then we played the Rocky theme song to her and told her that Manny Pacquiao's inspiration was the story of Rocky Balboa. Out of nowhere, she got up and told me "Mommy I wanna swim, but I will only swim for the Freestyle relay. I wanna swim with my teammates." And we kept asking her " kaya mo ba?" and she answered "Yes!" with a smile on her face. She was even mimicking the action of Rocky throwing punches in the air just like in her favorite movie. It was a moment that I will never forget. There she was all motivated and ready to swim, our problem was the transportation that will bring us to the venue. All the taxi drivers were hesitant to go to there because of the protesters scattered in the streets. And I was texting my friend at the venue I told them that Jasmine will swim for the relay. 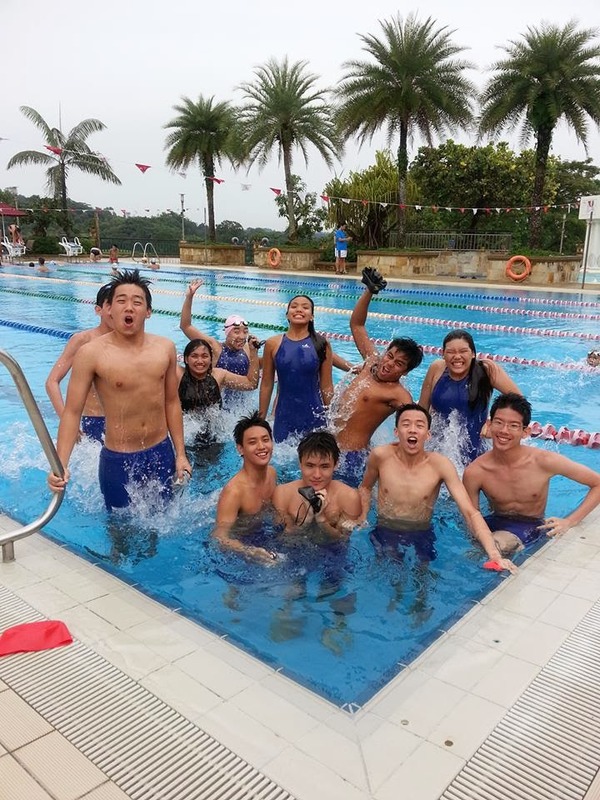 And they were all happy because they had a shot of winning the gold with her joining the relay. Fortunately, we had a family friend living there in Bangkok and gave us a lift. Imagine we crossed the entire horse race track just to get to the venue. And we arrived just exactly in time for the relay. We were all nervous because she was still vomiting then but she insisted she wanted to swim for the team. 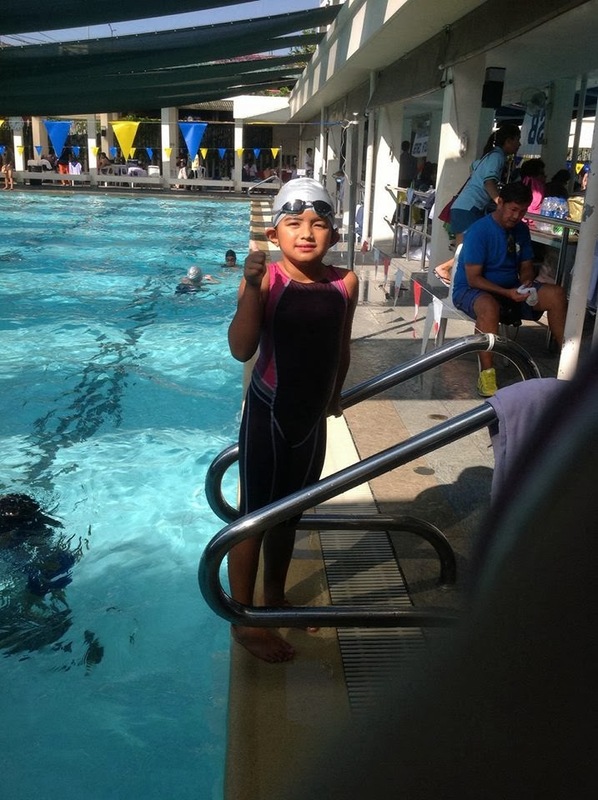 Her coach told her to just swim easy and took his shoes off just in case anything happens. And then the race started, She was the third jumper. As soon as she took off I was so surprised that she swam flawlessly. You would never imagine her being sick at that time because she had a very fast time for a kid who was severely dehydrated and had a fever. 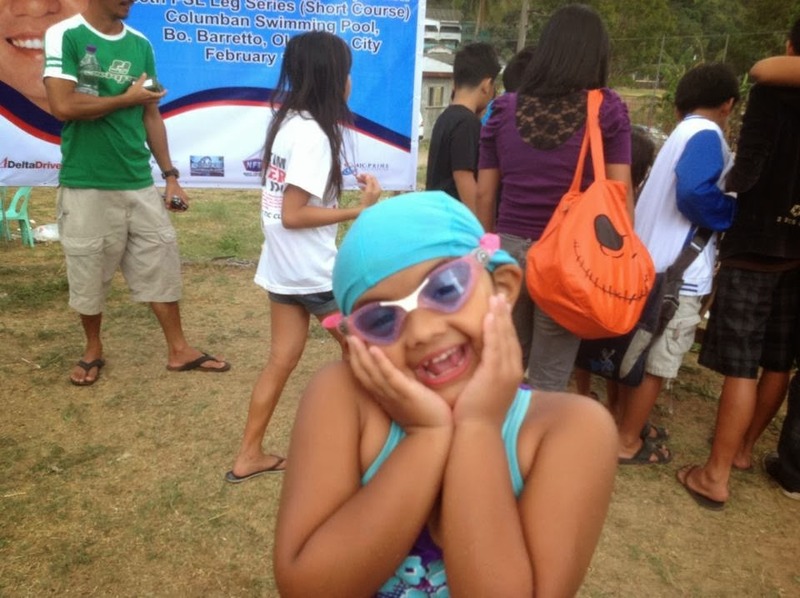 She clocked in 40 sec in 50 m freestyle. "NO PAIN" in her head until she finished. And my heart just exploded. She's only 7 years and yet she developed this kind of attitude in a very early age. It was absolutely astonishing. She may have not won that trophy but God gave us much more than what we have hoped for. He blessed my daughter with a courageous fighting heart. He graced us with a perfect inspiring story worth sharing to everybody. From the iconic story of Michael Jordan and Rocky Balboa to Manny Pacquiao passed on too my daughter and now spreading it to everybody. We hope her story can inspire another person's life too. That is what I love about sports. We find stories of hope.. Of strength...Of courage... Of dreams.. For a life worth enjoying. 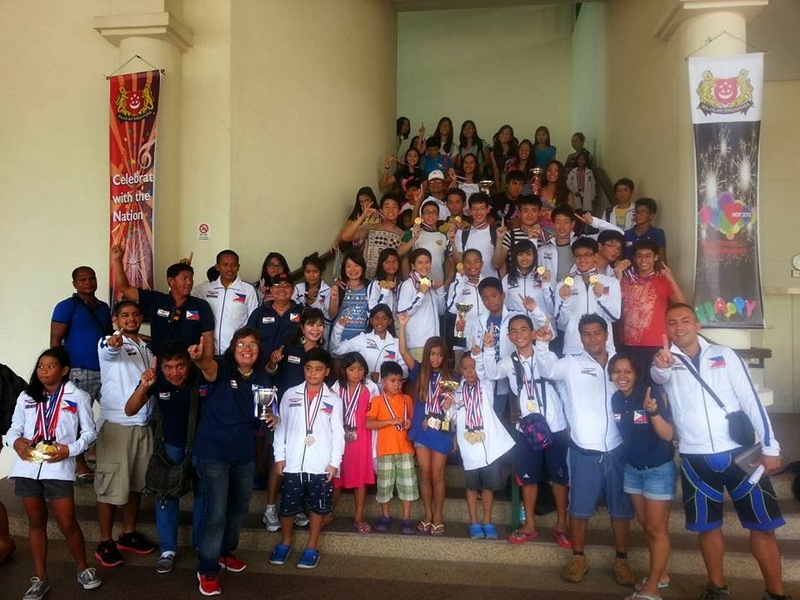 And indeed Philippine Swimming League gave that amazing venue for these kind of story for our kids.As I said before exposure to International competitions are not only for the sake of its glittering medals and giving honor to our country. It's creating their character and molding them to be a better person. It's creating friendship, brotherhood, and experiences that will change their youth forever. This organization does not rely only on money like the corrupt government organizations does. It solely survives on Faith. Faith in the kindness and generosity of the people believing in its vision. And spreading it to everyone. 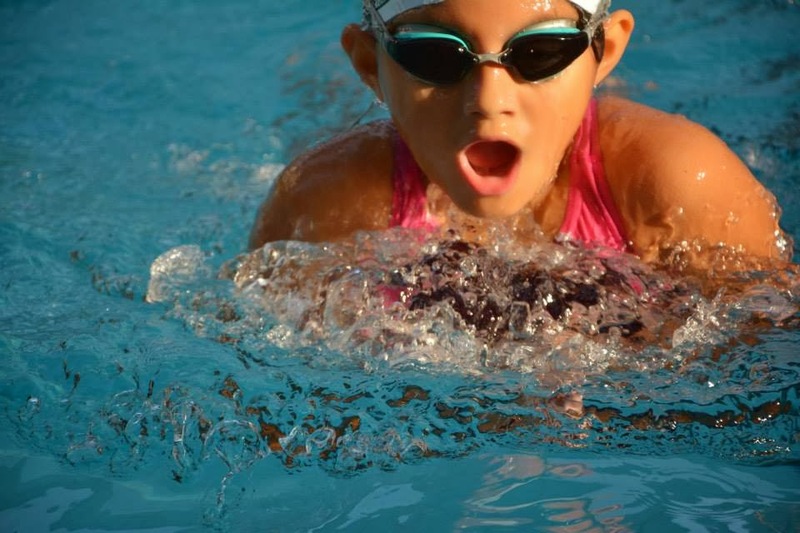 This is I want to impart to all the parents and swimmers. PSL have given a bigger stage for our kids. Are we going to just let it pass by? This opportunity does not come everyday. It takes a lot of heart and dedication to set this stage for them. And coach Susan Papa is the only person that I have known of to have fought so hard for these kids. Look at my daughter. She grabbed it and even in the worst possible time she created a moment for her to shine. Nobody expected her to ever do that. And yet she did. 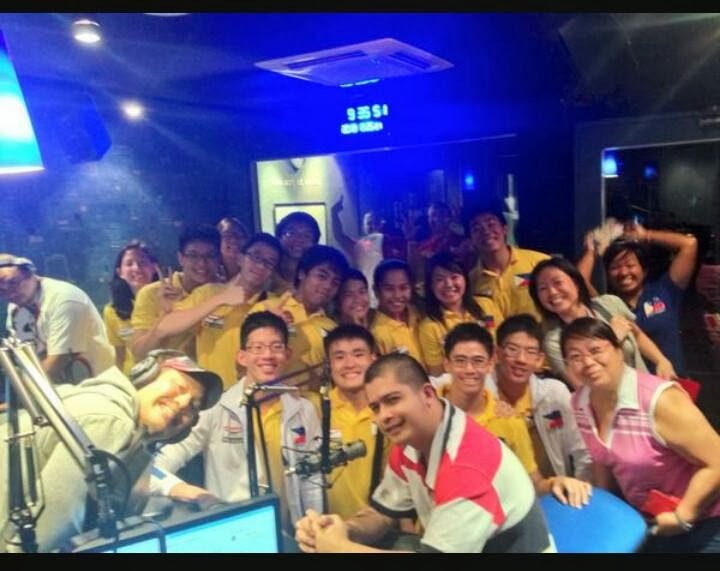 You will be surprised what these kids are really capable of unless you gave them the chance. How about you? What is your story? I am sure you have one.